Our friendly and well-trained team gets to know each new resident and welcomes them into our family. 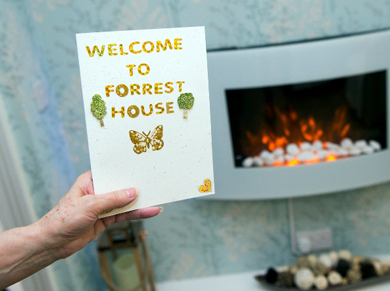 Through personalised care and touches of home, we help to create a special experience for each resident. More and more relatives are caring for their loved ones. 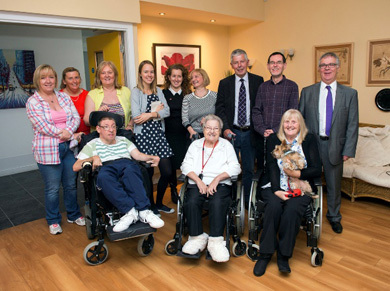 The need for respite care is significantly high and care homes which have the facilities and trained staff with the expertise are in short supply in the Glasgow area. 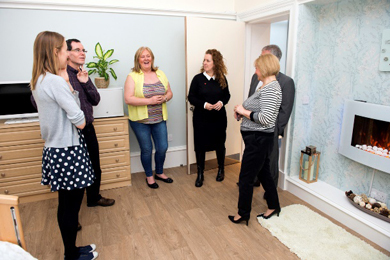 Forrest House is perfectly placed to meet this need and our new Respite rooms offer an invaluable service to families in the local community. Each Respite Room is a large, tastefully furnished unit with a beautiful en-suite bathroom attached. A personalised care plan for each service-user, based on a clear assessment of needs and a shared understanding of what is required, including health issues, level of care required and any specific requirements. Quality care in a brand new, state-of-the-art facility. A high level of care addressing physical, emotional, spiritual and social needs. A qualified, skilled and committed team of staff. Our service has achieved highly in the grading of Quality Indicators by the Care Inspectorate. Our facility offers tangible support to carers and families, a much needed oasis of temporary relief through short-term respite. Any enquiries should be addressed to the Manager at Forrest House, Rotary Residential Care Homes, 311 Albert Drive, G41 5RP.